This house is made only by the slits. there is no window. 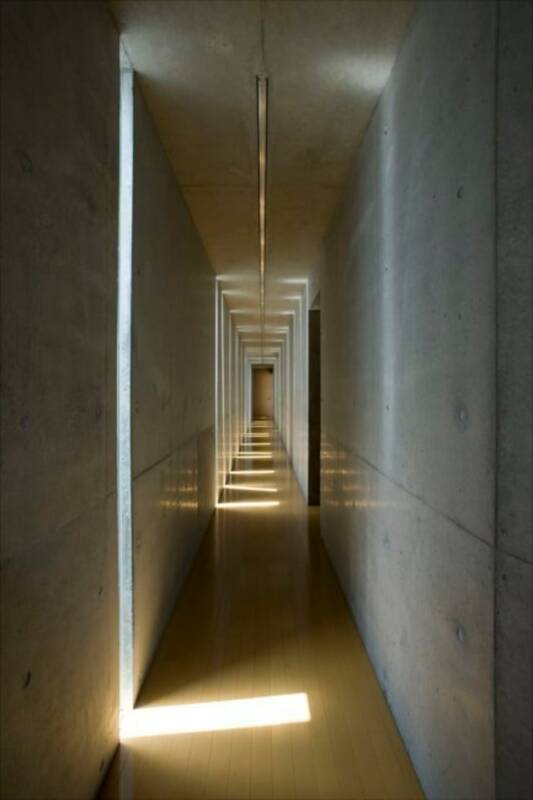 The wall of 105m lengths with 60 slits surround the site realizes the architectural space in this narrow and long site. No other architecture has ever been realized by such method. This conceptual sculpturing by the slits is poles apart from glass-heavy contemporary architecture. This method with the slits is our challenge to window . This challenge is an experiment to innovate a design method of architecture. 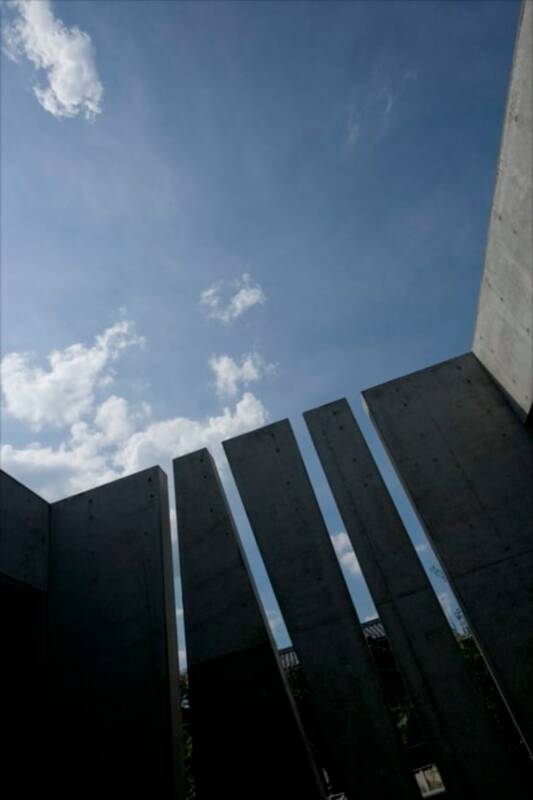 The concept to compose the architecture just by the slits directly figures this architecture. 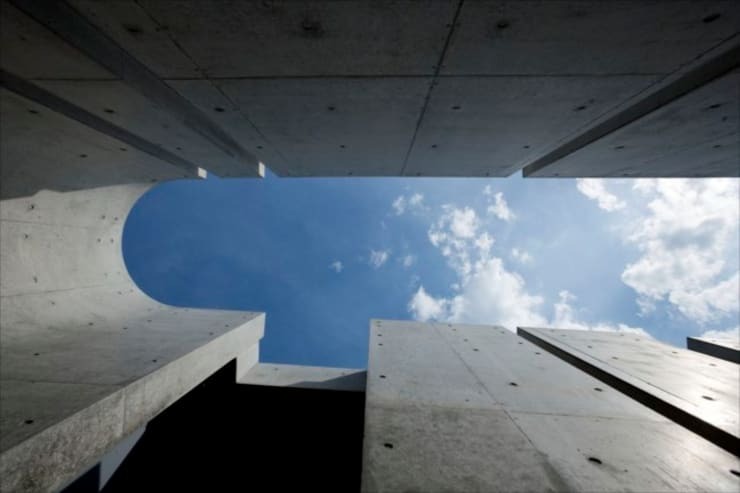 This simple method distinguishes the outline of the entire figure and abstracts the stance of the architecture. 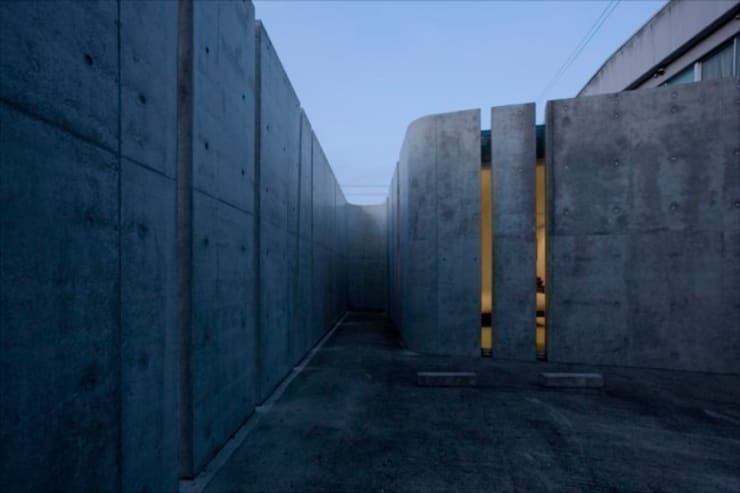 The site is located in an old city in Japan, where many private houses stand in a row. The site size is depth of 50m and width of 7.5m. One of two narrow frontages faces a street and the other faces a river. 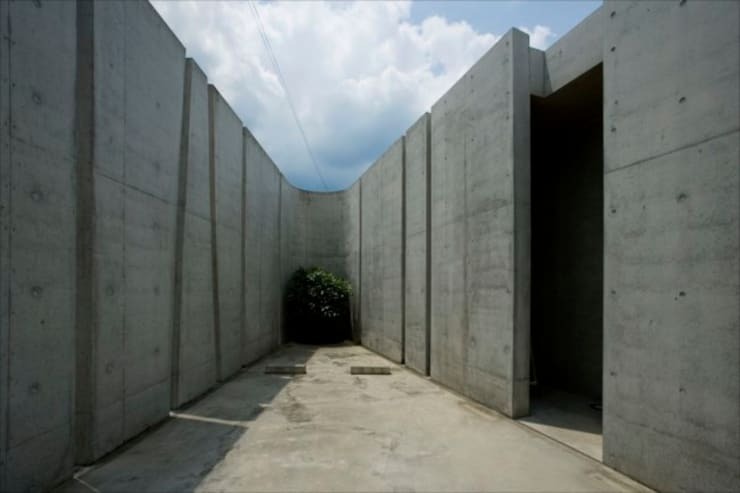 We designed a long wall that encloses this narrow and long site. The slits open this enclosure. The 140mm width slits screen inner privacy from view from outside. But the slits bring 60 light into the house. This proposes one method to live in a dense residential area in Japan where houses stand side by side. 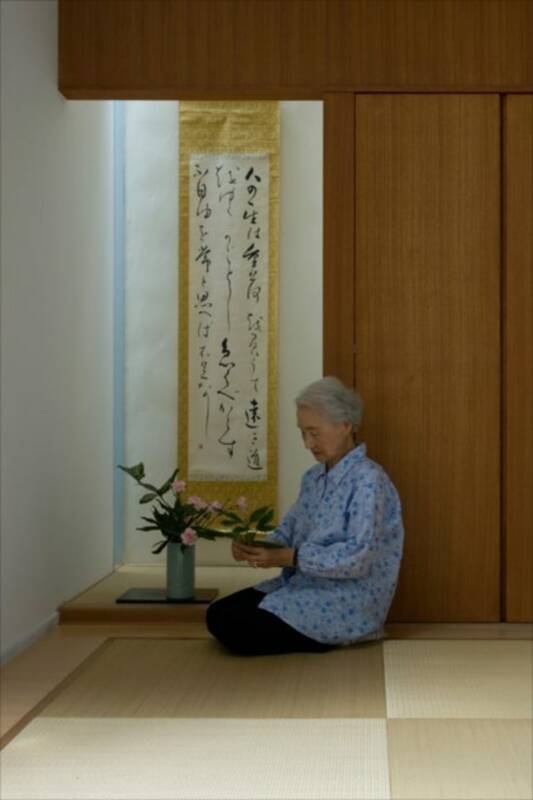 80 years old woman lives in this house. The house presents her both a life space with a soft light and an interesting experience of scale unlikely in a house. This architecture has a silent ambiance just like in the midst of solitary jar and a poetic clearness as like in an endless spatiality. The slits hold the promise of an innovative design method of architecture. The Slit House has its own special time. 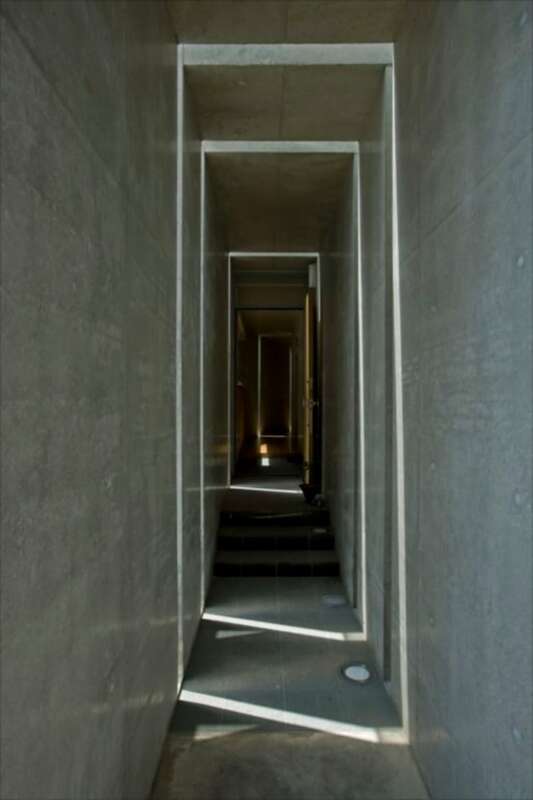 At 10:30AM, the sunlight pierces through angled slits at first. 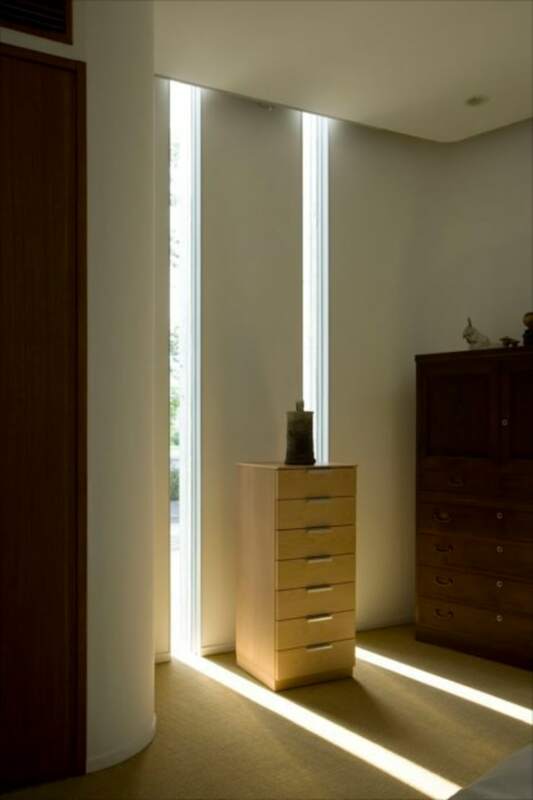 At 11:00AM,the sunlight pierces through all slits. 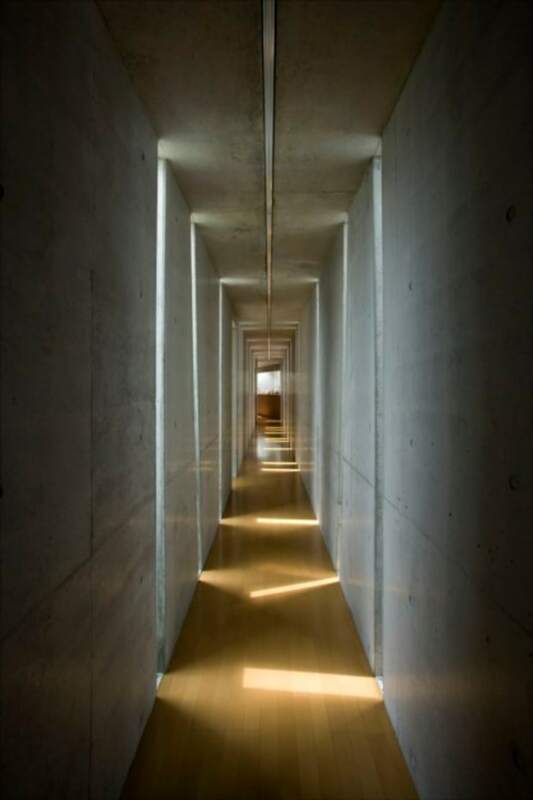 The sunlight through the slit and the reflected light on the header of the slit project the stripe of V type to the long corridor. If you saw the repetition of this edgy light, you might feel as if time of 11:00AM has stopped. In as much as ten minutes, the reflected light on the header disappears. The shape of the light that the slit makes changes from V type into one stripe. 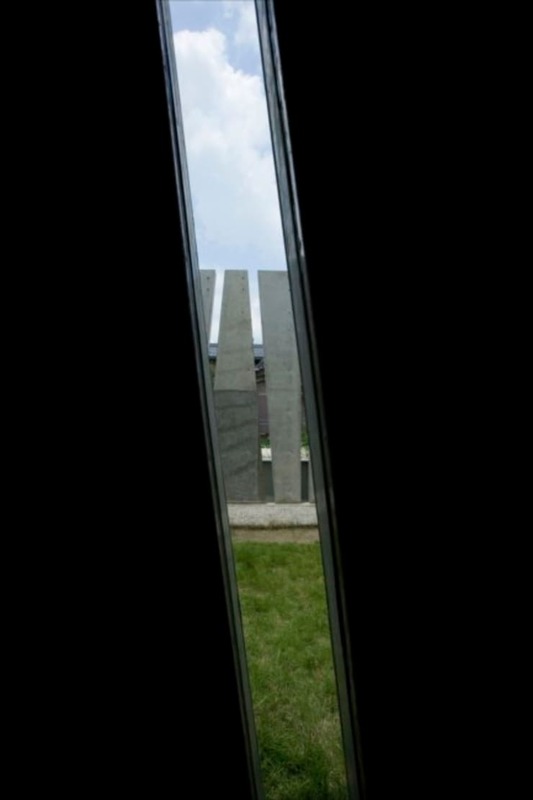 The moments that the sun pierces through the angled slits and through the straight slits are different. The angled slits get a little earlier. The momentary time lag let us feel a running of the sun and makes us forefeel the upcoming time of the dusk. And it shortens little by little. And watery light fills the house again with soft brightness. Then the night comes before long.